My son and his 2 sisters rushed through the door screaming: Did you get the face paint? What time are we leaving? What are we going to write on our signs? I can’t believe today is the day we are going to the Bruins game! We lined our faces with black and yellow stripes and hung black and yellow beads from our necks. Emmet drew a #4 on his cheek for his favorite, albeit retired, Bruin, Bobby Orr. 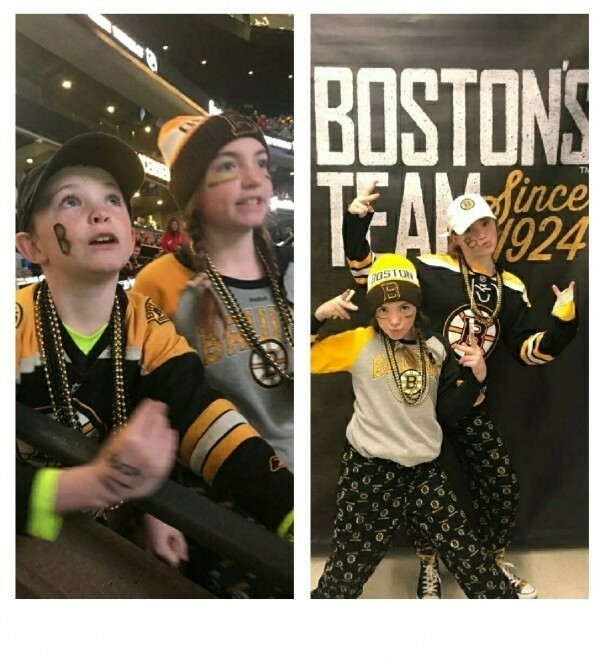 We blasted the good ‘ole Dropkick Murphy’s, hopped in the car with my ex-husband and shipped ourselves up to Boston for our first Bruins game. The car ride was spent brainstorming ideas for the signs we had yet to write that would be worthy of a spot on the Jumbotron. We were all happy. One family, two divorced parents, in a car, laughing, singing, bonding, and talking hockey. The car ride alone was a slice of magic. Um, Santa is not real... I’m sorry, honey…but, well, the magic of Santa is. Magic lives all around us, especially during Christmas time. It is our job to look for it and to even be magic. The words kind of stumbled out of my mouth as I unexpectedly found myself answering the dreaded question on Christmas Day. My 8-year-old, the youngest of my 3 children, was a little too young for this talk, I thought. But this kid is perceptive and stubborn. When he asked if Santa was real, I knew he wouldn’t take yes for an answer. He already knew. He saw the wrapping paper under the bed. He heard his cousins say that their presents were from mom, not Santa. And my guess is that he encountered other clues all season long, and that the question had been nagging to be asked until he could no longer ignore it. So although I didn’t think he was emotionally ready to handle the letdown that follows this disappointing truth, I just couldn’t tell the lies required to keep the myth going any longer- but I also had no idea what I was going to say. He had caught me by surprise. The kids cheered loudly, waving their signs high above their heads, and lighting up their section with their smiles when I heard my name. Are you Suzanne? A woman approached me at the end of the first period. I was confused, maybe even a little scared that I had done something wrong. Yes, I said nervously. She introduced herself as a member of the PR team for the Boston Bruins, welcomed us to the game and offered us some awesome Bruins Winter Classic Hats. To say nice touch would be an understatement. The Bruins don’t mess around! 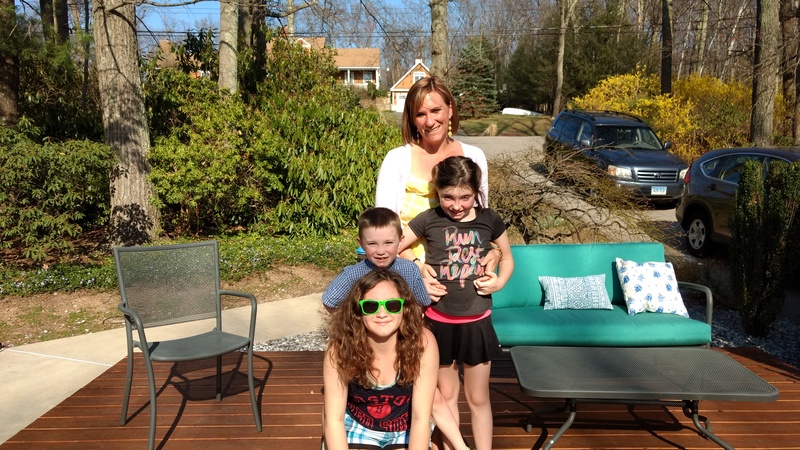 My kids felt like celebrities as they hurriedly donned their new hats, thanking me for this great night. Next, a raffle drawing, which we had entered earlier that night. The prize? An autographed puck and a $50 gift card for Bruins merchandise! Guess whose name was called? Yup, mine. OMG! What is going on?, I thought. This is by far the most amazing, perfect, and magical night. I don’t have nights like these, I thought. Nights when all 3 kids are all happy at the same time, and they have their divorced parents together (not fighting). Nights when every single thing is going our way and unexpected great things keep falling In our laps. Nights when we are simply in the moment, and each one of us at our absolute best, breathing in dreams like air. The kids looked at me with a light in their eyes I have never seen before. They were having the time of their lives and they were so grateful. When the game ended and the players skated back to their locker rooms, we took it all in, wanting to extend the night as long as possible. 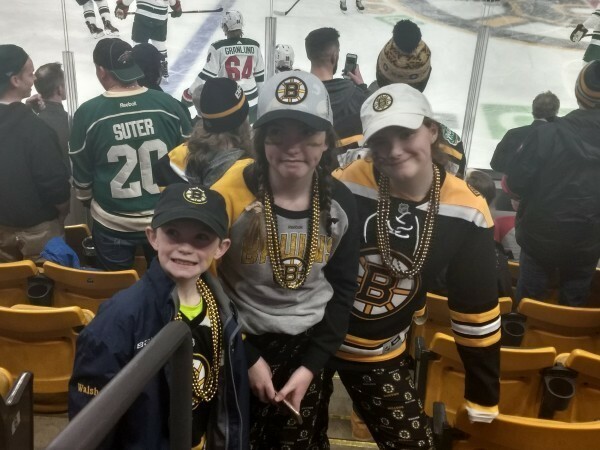 I looked around, took a deep breath and breathed a sigh of gratitude as I observed everything around me: the lights, music, zamboni, happy fans, my kids, and even my ex-husband. I didn’t want to leave. Santa is here, I thought. This IS the magic of Christmas. Everything came together in a way that superseded any expectations we had. My son and his sisters experienced the exact magic that I had hesitantly told him about on December 25th. And for the first time, I truly believed the words that had stumbled out of my mouth that day.